Epiphone’s long friendship with Les Paul dates back to 1940 when Les, working after-hours at the Epiphone factory on 14th Street in New York, created what may be the world’s first solid body electric guitar. Over the years, Les continued to work closely with Epiphone by reviewing new product ideas and offering suggestions. The Epiphone Les Paul Traditional PRO combines the best of Les’ original design with new features--including newly tooled pickups--for a Les Paul that’s not only an incredible instrument, but is one of the best overall values available for guitarists today. We think the Les Paul Traditional PRO's combination of progressive electronics and classic styling makes it the very kind of guitar that Les would have made himself. After all, Les was a lifelong Epi fan and always encouraged us to never forget that the “Les Paul” guitar was born at Epiphone. His spirit of innovation is put to work here everyday. And, like every Epiphone, our Les Paul Traditional PRO features our Limited Lifetime Warranty backed by world famous 24/7/365 Gibson Customer Service. The Les Paul Traditional Pro has the classic build and profile of all Les Pauls with a solid mahogany body and carved top, a mahogany SlimTaper™ “D” profile neck with a 24.75” scale, a 1.68” nut, and of course, the iconic Les Paul signature on the headstock and truss rod cover. The neck is hand-fitted and glued into the body for excellent neck-to-body contact, acting almost as one continuous piece of wood. 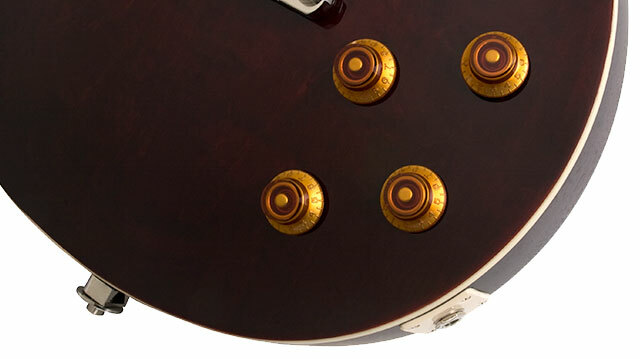 A "worn" type finish on the back of the neck and body add to the lived-in feel of the Les Paul Traditional PRO. Setting the Les Paul Traditional PRO apart from all other Les Paul contenders is our 4-wire, nickel/silver base humbuckers with newly tooled, USA-style bobbins. In the neck position is our Alnico Classic Pro™ humbucker with Alnico-II magnets with open zebra coils for warm, thick vintage tone. 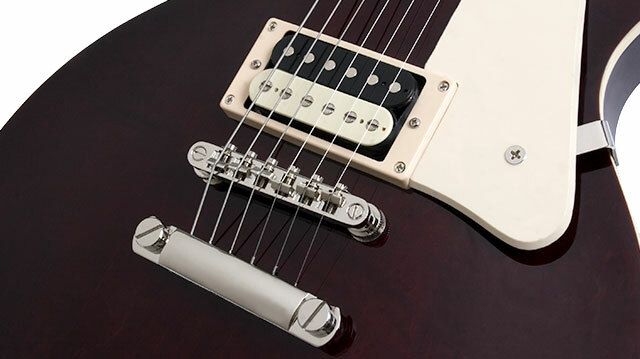 The Alnico Classic Pro™ is paired with an Epiphone ProBucker™-3 humbucker at the bridge. This inspired version of Gibson's classic BurstBucker™-3 features unevenly wound coils and Alnico-II magnets that replicate that "Patent Applied For" airy tone. You'll love the way they sound! To top it all off, we use '50s style TopHat Volume and Tone Controls which feature push/pull potentiometers allowing you to coil-split each pickup for single-coil sounds. 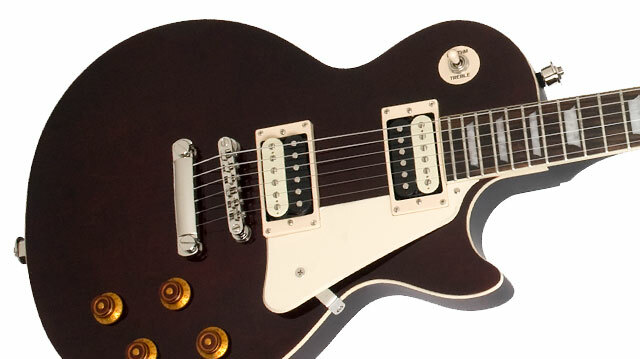 Combined with the 3-way toggle, you get 6 unique sounds from one great Les Paul guitar! Other features on the Epiphone Les Paul Traditional PRO included quality Grover® machine heads, a traditional cream colored pickguard, LockTone ™ Tune-O-Matic StopBar bridge and Epiphone's own StrapLocks. The Traditional PRO comes in two beautiful colors, ebony and Wine Red.